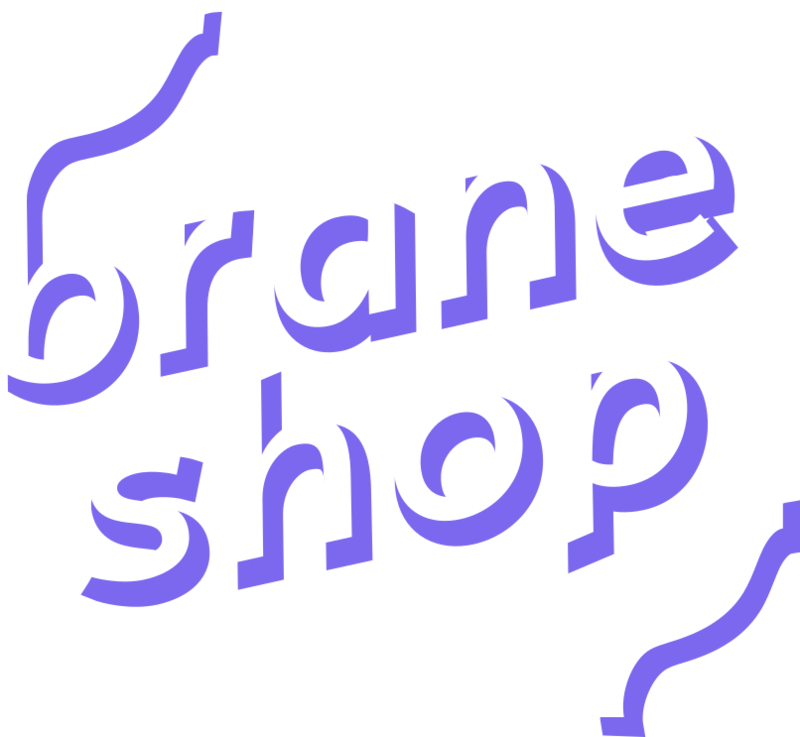 Braneshop - Thanks to Ren Imagery for our new logo! Thanks to Ren Imagery for our new logo! I like the logo because conveys “brain-ness” with the wavey lines; perhaps it reminds you of your own brain. It also feels a bit “80s” and “fun” to me; a style that I’m well-known to love, and, of course, it’s amenable to funky bright colours. Collaborative: Ren communicates frequently; asks your opinion, and submits some designs for review and to guide further design. Diverse options: Unlike other designers I’ve worked with, each of Ren’s submitted designs was actually quite unique and distinctly different from the others. The differences are not just a slight colour changes, or lower case over upper case; each design has it’s own strong elements, story, and justifcation. I think this is a very important skill for design, that I’ve not seen many people be able to do, and Ren does it amazingly well. Comprehensive: Once a final design was sleceted, Ren provides the logo in many formats and colours, and also includes nice feature “elements” (such as the squiggle in the bottom-left of the logo) as seperate files. This allows me to include and use parts of the logo thematically through-out the website. So, if you’re looking for any kind of design work, definitely get in contact with her over at Ren Imagery or on LinkedIn!